Ekow Davis-Blankson was born on August 23, 1953. He grew up in Afranse in the Central Region of Ghana. His parents (of blessed memory) were Mr. Kobina Bruce and Mrs. Abena Blankson. Ekow Davis-Blankson holds a Diploma in Hotel Management among other educational certificates. Davis-Blankson was brought up in a Greek Orthodox Church in Ghana. His love for music led him to become a Choirmaster. His leadership qualities were so evident that he was appointed the Youth Leader. In 1992, while in Senegal, Ekow was led to Christ by a group of concerned Christian friends. His conversion coincided with the genesis of The Church of Pentecost in Senegal by the Church’s missionary in The Gambia at the time. He was very instrumental in the establishment of the Church in The Gambia. In one of the prayer sessions, he received the baptism of the Holy Spirit. The following year, in 1993, Pastor Alex Adwere, the Missionary in The Gambia baptized him in water. Thus, like Cornelius, he received the Holy Spirit baptism before water baptism. Pastor Davis-Blankson was called into full-time ministry in Senegal through the recommendation of the then Pastor Emmanuel Gyesi-Addo, now an Apostle and the International Missions Director of the Church. He was first stationed at Thiadaye. He then went on to serve at Ziginchor also in Senegal from 2006 to 2007. He was then called home to serve at Kofikrom (2007-2011), Akim Swedru (2011-2014), and finally Ahinsan Estates (2014-2018), where he is presently drawing down the curtains on his work as a Minister of God. 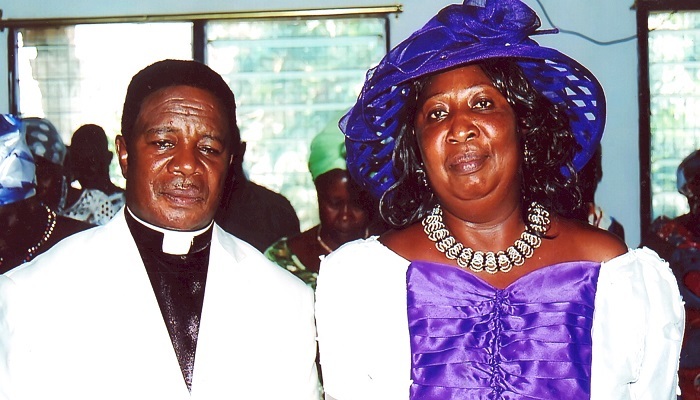 Pastor Ekow Davis-Blankson is married to Mrs. Comfort Davis-Blankson (née Ama Ampofowaa Brobbey), with whom, he has seven children (biological and adopted). Indeed, Pastor Davis-Blankson could not have succeeded in ministry without the love and support of his better half, Mrs. Comfort Davis-Blankson. Mama Comfort is very supportive of her husband’s ministry. Together, they have formed a formidable partnership in ministry which has yielded very fruitful results to the glory of God. A retirement service would be held in their honour on Sunday, July 29, 2018, at the Miracle Temple (Ahinsan Estate) in the Asokwa Area of The Church of Pentecost.